Today’s modern kitchens may include seamless appliances, lavish amenities and stylish upgrades, but they’re still a far cry from the new technologies companies are developing. Here are a few of the cool features that could make it into your kitchen in the years to come. Smart appliances: Appliances are beginning to incorporate technology that provides added convenience in ways we’ve not experienced before. For example, Samsung’s revolutionary new Family Hub refrigerator, available now, features a Wi-Fi touch screen that syncs family calendars and displays digital notes and texts. Unsure if you should grab milk while you’re at the store? Built-in cameras capture fridge contents so you can double-check with ease. Touch-screen hubs: Touch screens aren’t just for appliances. 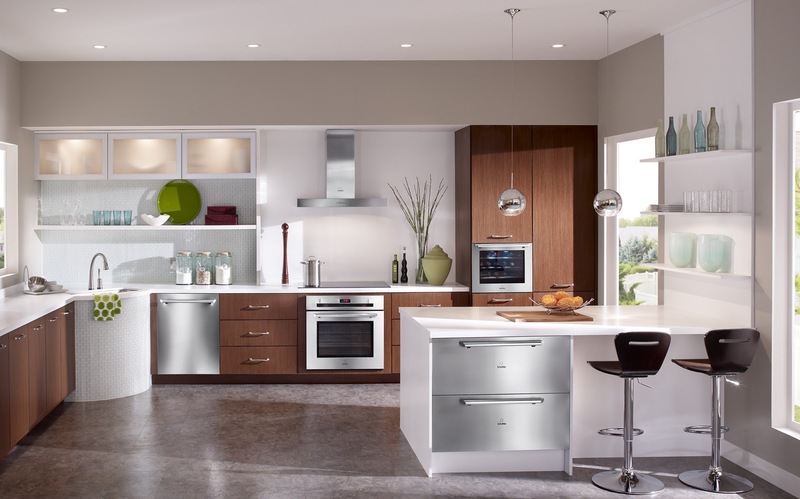 At the 2016 Consumer Electronics Show, Whirlpool imagined one as a kitchen backsplash that serves as a hub for the entire house. The screen recognizes each family member and displays a personalized calendar with daily tasks and appointments. It can even harness GPS to track the arrival of the morning bus. Visible food storage: IKEA’s 2025 concept kitchen includes pantry shelves that cool glass storage containers, keeping food visible so you always know what’s on hand. The sink’s built-in composter squeezes the water out of fruit peels and other organic matter and then presses it into an odorless puck. Intelligent cooktops: IKEA’s concept kitchen also features a smart table that serves as a prep surface and cooktop in one. Place ingredients on the table for recipe suggestions. Then use the built-in scales to measure ingredients and the embedded coils to heat individual pots, leaving the rest of the surface cool to the touch. The post 4 Kitchen Features of the Future appeared first on MN Home Living.